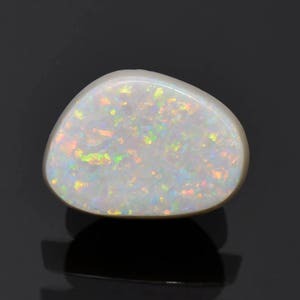 Lovely Solid White Multi Color Flash Opal Cabochon From Australia 5.04 cts. Size: 18.57 x 11.37 mm. Coober Pedy, Australia is one of the most famous Opal localities in the world and for good reason. 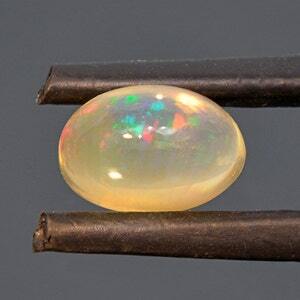 A great majority of the world’s Opal has come from Australia, and a good percentage of that is Cobber Pedy material. 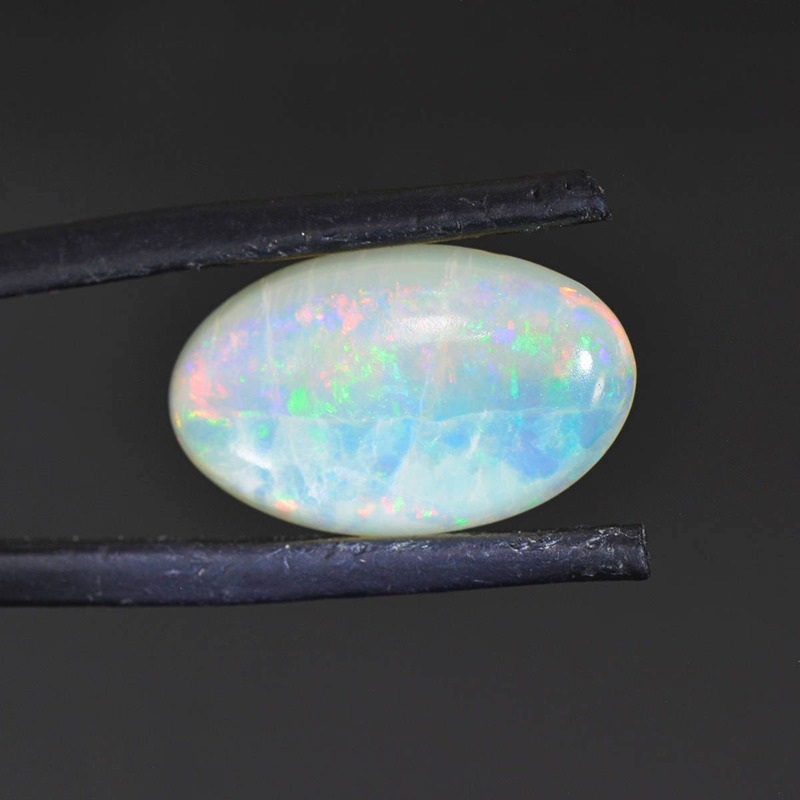 The finest white Opal in the world is from Cobber Pedy, and it is stunning. 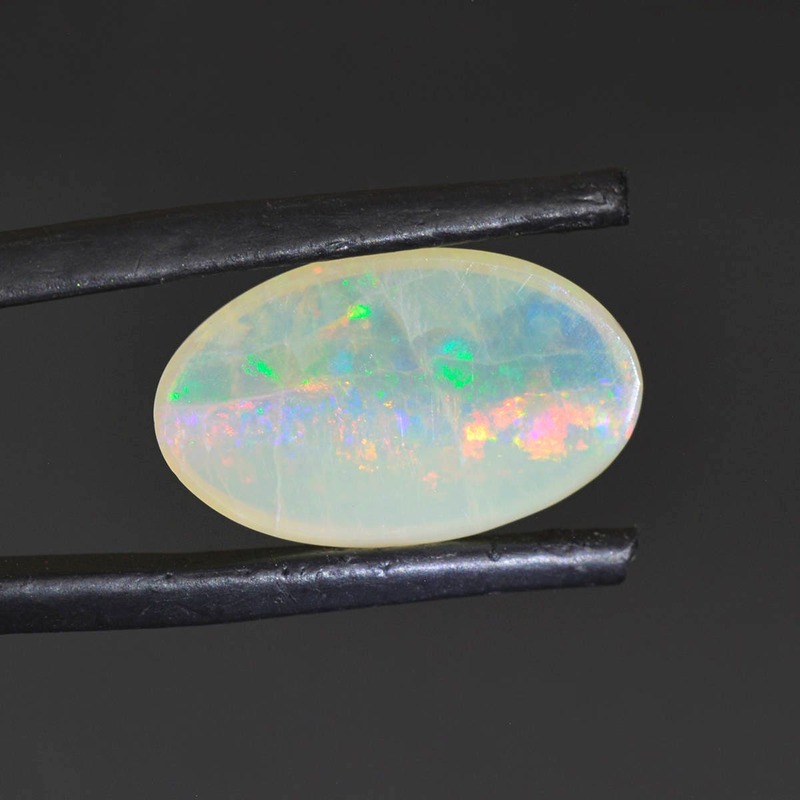 However, this is a white Opal and solid Opal because it has some gem clear sections. 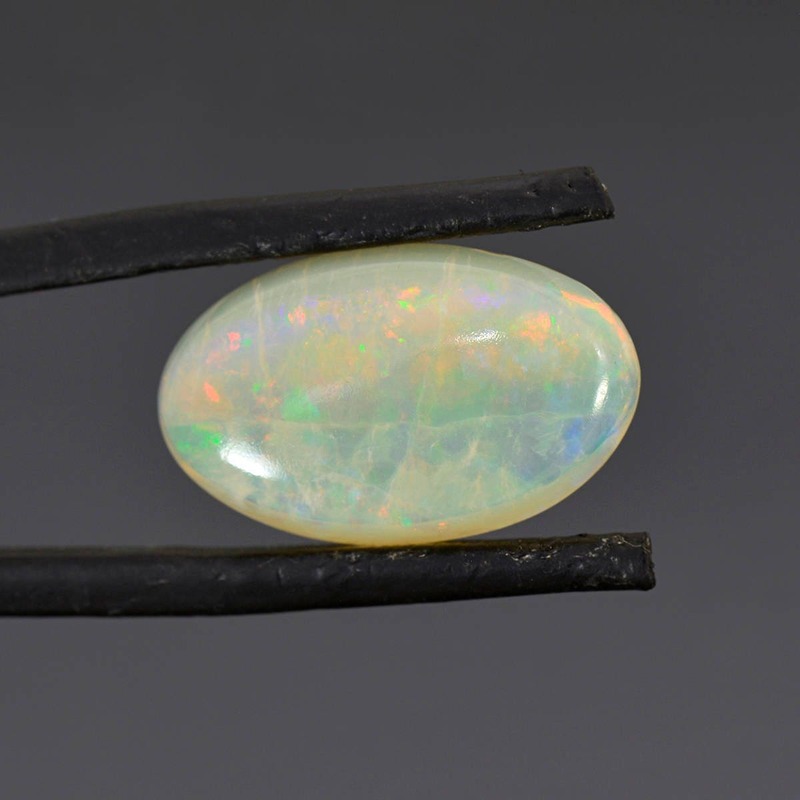 This Opal is loaded with flashes of green, purple, blue, yellow, orange and red! The flash is a harlequin and pinfire pattern and just stunning when moved in the light. 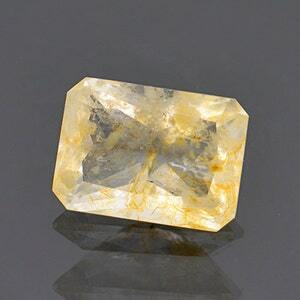 This piece will look gorgeous in jewelry, but is certainly a collector’s quality stone. Enjoy! Stunning Solid White Opal Gem Cabochon from Coober Pedy, Australia 5.45 cts. Interesting Vascular Opal Gemstone from Mexico 3.73 cts. 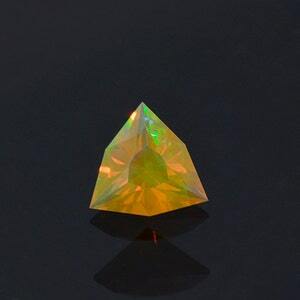 Fantastic Fire Opal Cabochon with Multi Color Flash from Mexico 2.46 cts.